As we discussed in our last post, reinforcing fibers are added to plastic resins to increase the tensile strength and flexural modulus of the composite as well as the heat deflection temperature of the plastic. In this blog post, we will take a closer look at glass fibers. The materials used to make fiberglass are silica, limestone and soda ash. Silica is the main material used to form the glass while soda ash and limestone are used to lower the melting temperature. Other materials are used to improve various properties. For example, borax is used to make the glass more chemical resistant. Depending on the specific glass being made, the processing may also include calcined alumina, feldspar, nepheline syenite, magnesium, kaolin clay and boron. The weighing of the raw materials together in exact quantities is called a batch. The batch is heated in a furnace called a forehearth at a temperature of around 2500° F. The temperature must be carefully controlled to ensure that good quality fiberglass is produced. First the glass is extruded and then attenuated. During the extrusion process the molten glass passes out of the forehearth and through a bushing with between 200 and 8,000 very fine orifices. It is heated electronically and cooled by water jets as the filaments exit the bushing at around 1204°C/2200°F. Attenuation is the process of mechanically drawing the extruded streams of molten glass into fibrous elements called filaments, each less than a human hair in diameter. In the final processing stage a chemical coating or sizing is applied. Finally, the coated filaments are gathered together in a bundle of 51 to 1,624 filaments that are wound onto a drum forming something that looks like a spool of thread. These drums are then dried in an oven after which they are shipped as is or further processed, for example made into chopped fiber, roving or yarn. There are several types of glass fibers. The most common is E-glass, called “E” because it was originally used for electrical applications. It is alumino-borosilicate glass with less than 1% by weight of alkali oxides. It is now used mainly to reinforce plastics. E-glass was the first glass formulation used to make continuous filament and represents most of the fiberglass production in the world. E-glass is alkali free and its manufacture represents the single largest use of boron in the world. It is susceptible to chloride ion attack therefore it is a poor choice for marine applications. Other types include A-glass or alkali-lime glass with little or no boron oxide, E-CR-glass meaning electrical/chemical resistant with alumino-lime silicate and less than 1% by weight of alkai oxides. 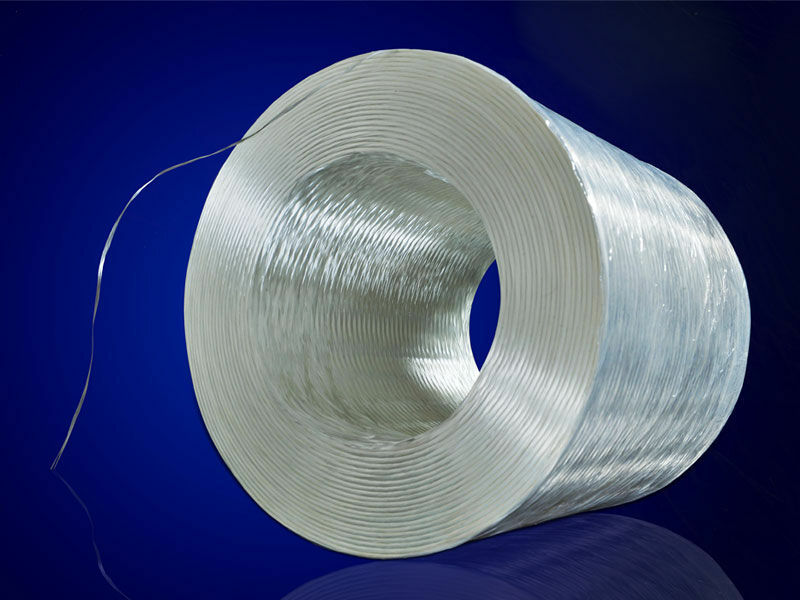 E-CR glass fibers exhibit high acid resistance. Another type is C-glass, with “C” standing for “chemical resistance”. 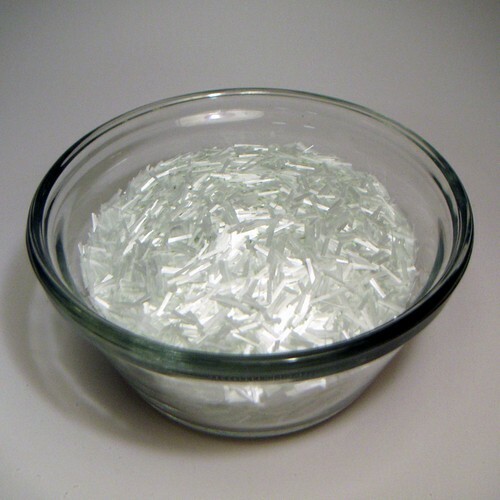 C-glass is composed of alkali-lime glass with high boron oxide content used for glass staple fibers and insulation. In T-glass, the “T” stands for “thermal insulator” and is a North American version of C-Glass. It is used as an insulation grade blown glass. Additionally, there is D-glass or borosilicate glass with a low dielectric constant, R-glass (“R” for reinforcement) which is alumino silicate glass without MgO and CaO with high mechanical requirements. Lastly, S-glass or stiff glass contains alumino silicate glass without CaO but with MgO content and has high tensile strength. It is used to construct buildings and as an epoxy composite for aircraft. Glass fibers are nonconductive unlike carbon fibers. Although they are not as strong or rigid as carbon fiber, they are much cheaper and much less brittle. Fiberglass increases the tensile strength and flexural modulus of the composite. Fiberglass composites are used to make bathtubs, boats, water and septic tanks, surfboards, fishing rods, parts of automobiles, skis, surf boards, golf clubs, swimming pools, aircraft, oars, furniture, the beds of x-ray machines and even the cars on amusement rides. Looking for more info on FRP? 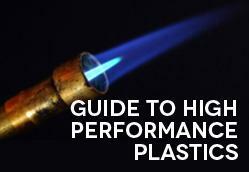 Download our free high performance plastics guide.